A live chat service in Arabic and English has been launched by The Emirates Identity Authority (EIDA), on its website, on Tuesday. The first of its kind in UAE, the service is titled ‘Ask Ahmed’ and is accessible locally and abroad, 24*7. It’s one of the new fourteen interactive channels facilitating effective communication between the authority and the public and will be on a trial basis for five days to assess the customer feedback. “We want to ease customers’ suffering, and instantly solve their problems through a live chat connected with the Customer Relationship Management (CRM) department.” said Nasser Al Abdouli, Director of Service Centers Support. He added that well-trained staff has been assigned to efficiently run the new service and attend to customers’ remarks, complaints, and inquiries more efficiently. “The service stimulates the ‘Online Open Day’ as an interactive mechanism to directly communicate with customers who use Twitter and follow Emirates ID’s account:@EmiratesID” said Amer Al Mahri, Director of Government and Community Communication at EIDA. 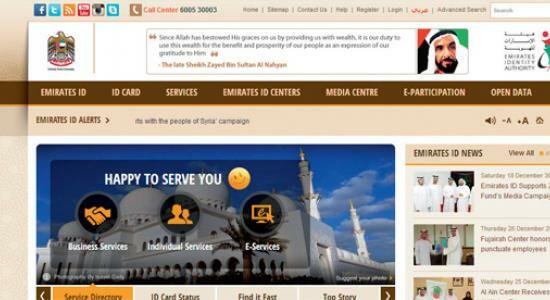 “Emirates ID provide a number of interactive channels for its customers through its website. These include (EmiratesID_skype) voice, video or text messages chat, as well as “You ask, We answer” and “Contact the Director General” services.